SunBlade | Perfect Vision. Safer Drive. 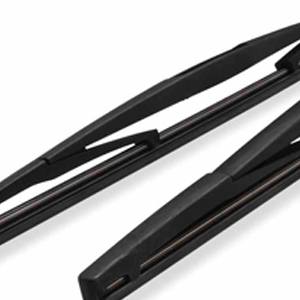 Founded since 2002 by Team SPZ, SunBlade is committed to provide the best solution to the automotive windshield wiper segment and behind the success of SunBlade is a team of experienced product specialist with engineering and technology know-how. 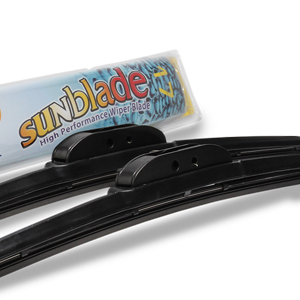 In a short span of just over a decade, SunBlade is proud to have its comprehensive range of products being distributed to more than 30 countries worldwide through their distributor and/or partner. 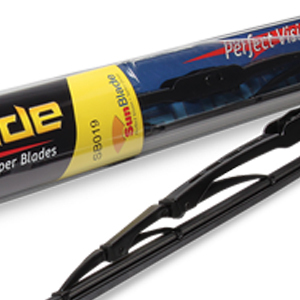 SunBlade Wiper Blade are known for its functionality and durability and its quality and reliability form the major and most important part of our value propositions. In order to ensure all these are possible, all supply chain partners must be accredited with an internationally recognized quality assurance system such as ISO, QS and/or TS as a basis requirement. 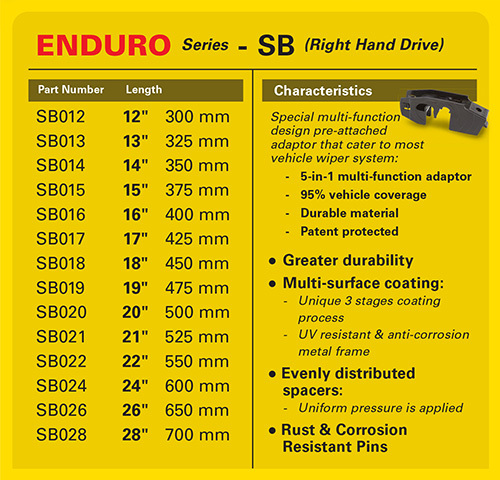 Today, SunBlade offer 3 series of wiper blade selection to its end-users and these 3 series are the Enduro Series, Advance Series and the Dynamic Series. 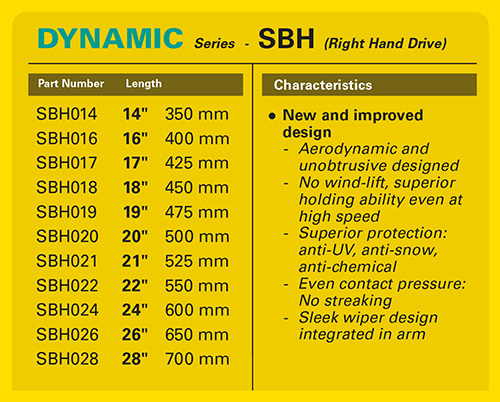 Consumers can choose between the 3 series to best fit their drive. 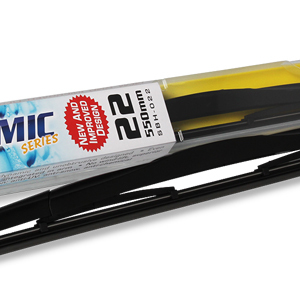 Apart from the front windshield wiper blade series, SunBlade also offer a wide range of rear windshield wiper series. 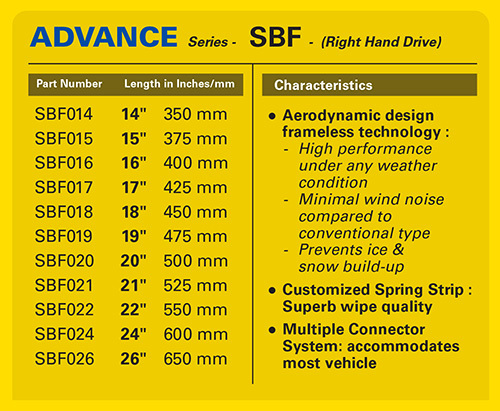 Copyright © 2019 Spare-Parts Zone Pte Ltd. SunBlade is a Trademark of Spare-Parts Zone Pte Ltd. All rights reserved.